Stranded is produced by Regal Films and stars Arjo Atayde and Jessy Mendiola, two actors whom I have never seen act since I don't really watch local TV. So I go to see this movie not knowing what to expect, only sensing that this is another rom-com and that both will end with each other in the end. What I can definitely say here is that Arjo Atayde's dimples really saved this movie! I mean, now I know why Maine Mendoza said yes to this guy LOL Imagine those cute dimples staring at you every morning when you wake up and before you sleep at night. And his body is not that bad ha, no abs but well, still hot! Choosy pa ba, di ba? 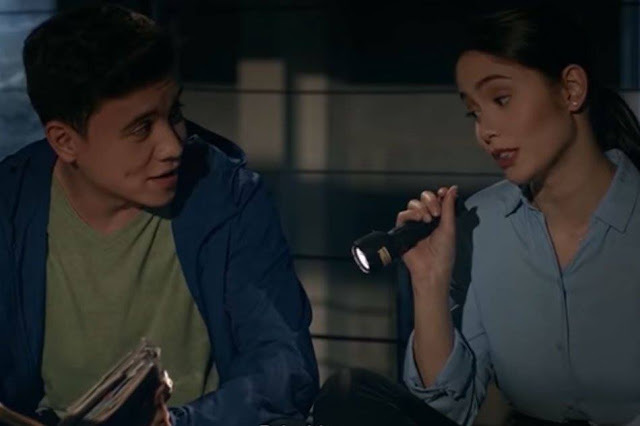 So, I am not really surprised that Jessy Mendiola's character, falls easily for Arjo's character - the same reason that Maine Mendoza does - in real life. This is a rom-com anyway, and a guy with a cute face with dimples - and a girl with long hair and a demure smile is sometimes all you need to make all the scenes - no matter how absurd or pilit they are - work. I enjoyed most of the their pa-cute sequences while left 'stranded' in Jessy's office. I just found the ending a bit abrupt and with the question 'how did that happen so suddenly' hanging on my head. 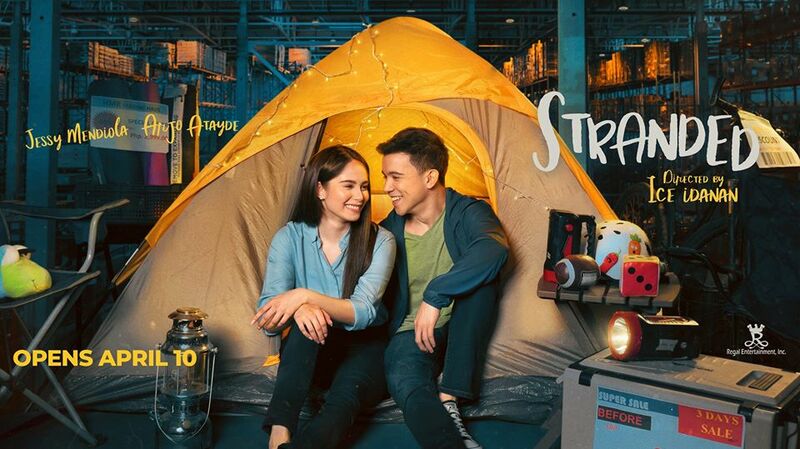 Otherwise, I enjoyed Arjo and Jessy's easy chemistry and from now on, if he uses his dimples as a charm offensive, I will be watching all of Arjo's next movies, the same way I suffer through some of JM de Guzman's. Helpless against all these guys' cute dimples!